Dimensions Length: 6.90 mt | Width: ? | Height: ? 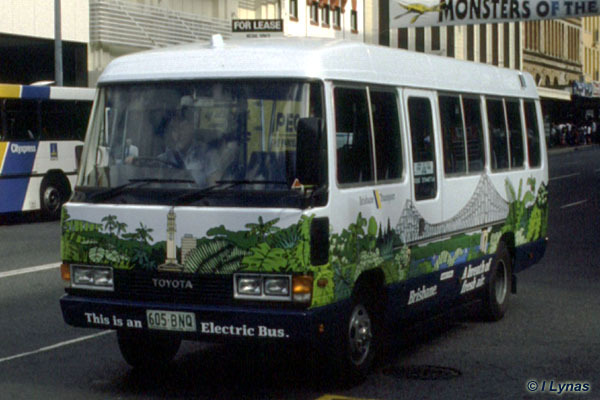 This electric bus entered service in June 1992, but was returned to Sydney in July 1992 to be fitted with larger rack batteries, and did not return until February 1993. This bus was first assigned to a free shuttle service between South Bank & the City, but from March 1993, was used on shuttles from Merthyr to New Farm Ferry.